Timeless, meticulously-crafted elegance never goes out of fashion. These Best Sellers include our most chic designs from our curated Collections. Textures, colours and scents that are perfect for your special occasion, or simply to decorate your day. Our expert florists, found at our shops within some of Hong Kong’s finest hotels, personally prepare each bouquet, hand-tied with ribbon, wrapped in fine paper, and delivered complete with care instructions, flower food and a notecard. Unique occasions demand bespoke floral creations, and at Blooms and Blossoms we have years of design experience for once-in-a-lifetime occasions such as your wedding. We can work seamlessly with your wedding planner, venue or directly with you to create exceptional decorations, floral artworks and flower bouquets. Flowers can seduce the senses. Floral natural beauty with elegant scents, and expertly crafted can transform your event into a memorable success. At private and corporate parties; grand openings; launches; and VIP events; Blooms and Blossoms have helped style some of Hong Kong’s most extraordinary occasions. The flowers take the tears of weeping night and give them to the sun for day's delight. Quote by Joseph S. Cotter, Sr. Since 1978 our createurs have strived to consistently offer Hong Kong’s finest floral couture. Become inspired at our flower shops, found within the most exclusive HK hotels including Grand Hyatt Hong Kong, Renaissance Harbour View Hotel, InterContinental Hong Kong, Hyatt Regency Shatin, Hyatt Regency Tsim Sha Tsui and Gleneagles Hong Kong Hospital. 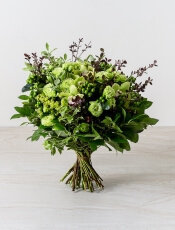 We are also a member of Interflora, a worldwide international floral delivery network, for more than thirty years, enabling our customers to send flowers worldwide. Sign-up to our monthly newsletter now and be the first to receive news of our bestselling products, our latest arrivals and our seasonal collections.